Our team has over two decades of client-facing experience identifying institutional needs and problems and building the right teams, partnerships and digital products to fix them. Robert is the perfect blend of a developer and designer -- a "deseloper." 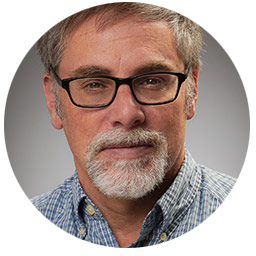 He has 20 years of experience in scientific and technical communication and has managed a number of website redesigns and refreshes. He served as the former webmaster at Fox Chase Cancer Center from 2007 to 2011 and after that at Drexel University. Previously, he was a consultant to the the Tech Transfer Division of the office of Research and Development at the United States Environmental Protection Agency, where his focus was sharing laboratory research that underpinned safety regulations regarding air water and soil. Robert focuses on Web Production for AG Strategic. For over a decade, Corey has been working with large institutions on collaborative teams that analyze and solve both complex technical and non-technical problems. He has done everything from assisting New York City in strategic disaster response and planning efforts to redesigning Drexel University School of Law's website as well as writing the code for various single purpose software applications. Notably, Corey co-created, CyclePhilly, an award winning smartphone app that is being used internationally to help cities build better bike infrastructure. Corey focuses on product management, business strategy and governance for AG Strategic. Send us an email or fill out the form below to let us know what you are thinking.